Home | Dandruff Treatment | Skincare Myth Busters: Does Dandruff Really Cause Hair Loss? One of the most commonly asked questions at The Dermatology Clinic is, “Could my dandruff be causing me to lose hair?” The answer is, yes and no. 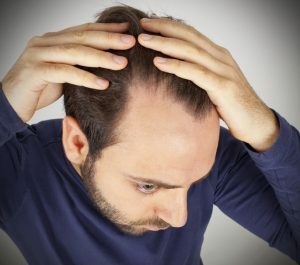 While the mere presence of dandruff won’t cause hair loss, it can contribute indirectly to thinning hair. Dandruff, a skin condition affecting the scalp, is most commonly marked by white or gray flakes on the top of the head. These flakes are dead skin cells that are often very itchy. Repeatedly and frequently scratching your scalp can damage the hair, and the damage can eventually cause the hair to fall out. So while dandruff alone doesn’t cause hair loss, it does indirectly play a role. According to the Milton S. Hershey Medical Center, there are numerous causes of dandruff, including underlying medical conditions like psoriasis, some fungal infections, and even general types of illnesses. A more severe cause of dandruff could be seborrheic dermatitis, common in patients with nerve disorders and those recovering from traumatic or stressful medical issues, according to the American Academy of Dermatology. See one of our dermatologists for a check-up if you’re experiencing redness and scaling along with the flaking skin, as this could indicate seborrheic dermatitis. Hormonal changes can also play a role in causing both hair loss and dandruff. While there’s no cure for dandruff, there is good news: it can be treated and controlled with a few relatively easy steps. If over-the-counter dandruff shampoos haven’t helped, then switching to a medicated dandruff shampoo and minimizing the frequency of washes (two to three times per week is ideal) can help. We can demonstrate the best way to wash your hair to prevent hair loss, as well as prescribe a product that will reduce any flaking. The Mayo Clinic also suggests spending a few minutes in the sun each day and reducing the amount of stress in your life to prevent dandruff from worsening. If you are experiencing hair loss and dandruff, especially flaking accompanied by redness and scaling, contact The Dermatology Clinic at (225) 769-7546 or fill out our contact form to schedule an appointment. 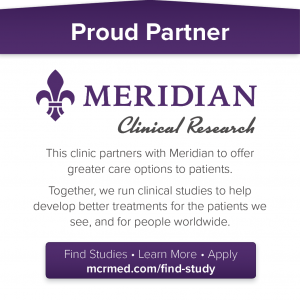 We can evaluate you to determine if you may be a candidate for one of our treatment plans.